Bhojpur district, a part of Koshi Zone, is one of the seventy-five districts of Nepal, a landlocked country in South Asia. The district, with Bhojpur as its district headquarters, covers an area of 1,507 km² and has a population (2001) of 203,018. Traditionally, the inhabitants of this area have been the indigenous Rai ethnic group; the Newar ethnic group being the main people in the Bhojpur town. Bhojpur forms part of Majh Kirat/Kirant (Middle Kirat), Sakewa is the main festival of Rai. It is one of the richest districts in Nepal in biodiversity. In the northern part of this district lies the beautiful small city of Dingla. Various hill castes, Brahmin (bahun in Nepali), Kshetriya(Chhettri in Nepali), and ethnic groups like Rai reside within this beautiful area. This is the place where rudraksha trees are grown naturally in the forest as well as individually on people's land. The religious leader, women's rights activist and poet Yogmaya Neupane was born in 1860 in Dingla. Champe is the other small town where people from surrounding villages come and sell their products. This happens every week and is called Hatiya. Balankha (Walangkha) is one of the growing towns in the southwest area of Bhojpur. Another town Ghoretar, southeast of Bhojpur, has been a centre point of trade, education and administration for a long time. It is famous as Hatuwa Gadi "a powerful Fort of Kirat king Sunahang" in Kirat history. As Kirant communities started living in this area 2000 years ago, still there is a majority of Kirant community living here. The Majh Kirant is the origin of the Kirant civilization and culture. Salpa Pokhari is the largest lake in the district, located at Dobhane VDC of northern Bhojpur, whereas Panchakanya, Hanshapokhari, Chyangre Pokhari are major ponds here. Likewise, the waterfall of Chirkhuwa River is the largest waterfall in the district. The tourist attractions of the district are Siddhakali Temple, Taksar Bazaar, Temke hill, Selme, Suntale hills, Dingla township, Maiyung hill, Silichang, Hatuwagadhi (fort) and Salpa Pokhari etc. When the king Mahendra visited Bhojpur he established the factory of coin money. The Karuwa (spout) water jar and Khukuri (famous Gurkha knife) made here have not only earned national but also international fame. The Balaguru Shadananda of Dingla in Bhojpur established a Sanskrit Pathshala (school) in Dingla in 1932 BS, which is the first school in the country established in the people’s level in Nepalese history. Presently, the school has been running with the name “Shadananda Higher Secondary School”. Likewise, Vidyeswor Sanskrit Pathshala was established in Gogane of Bhojpur in 1998 BS, and such schools were established in Taksar, Falikot and other places, whereas the Jyotideep Education Centre of Batase, Siktel, and Katunje had also earned fame. 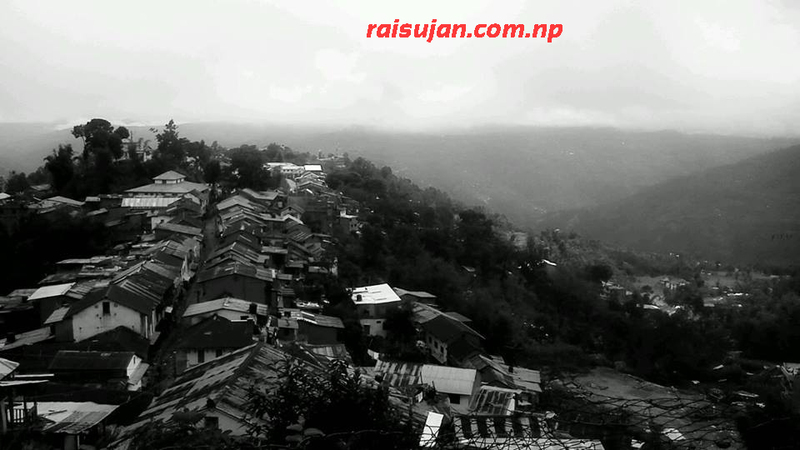 Balankha borders with neighbouring Khotang district's Bopung village. Balankha is slowly emerging as another hub of education, communication, health and trade. The most distinctive thing about Balankha is its famous Chhongkha Chandi celebration. It is the Kirat Rai festival when Rais go to 'Chandi(Sakewa) Than' at Dammarkhu village of Khotang (across the river Buwa Khola), pray for good harvest and rain. Then they flock back to the open space of Chandi bazar to dance and celebrate with great joy. In the Bhojpur one of the largest VDC is Dovane and then Timma. Recently announced dignitary Mr Durja Kumar Rai also from Bhojpur, he is an inhabitant of VDC Nagi Kattike 4. It lies under the lap of Temke Dada. Temke is situated in the border of Khotang and Bhojpur district. Its height is nearly 3400m, from this Temke peak we can see the panoramic view of Himalayan range and also sun rising scene. In this Temke seasonal festival has been started twice a year, there are two temples in this peak one is Maheshor and another one is Shiv. Its natural beauty really entices to those visitors who visit here.